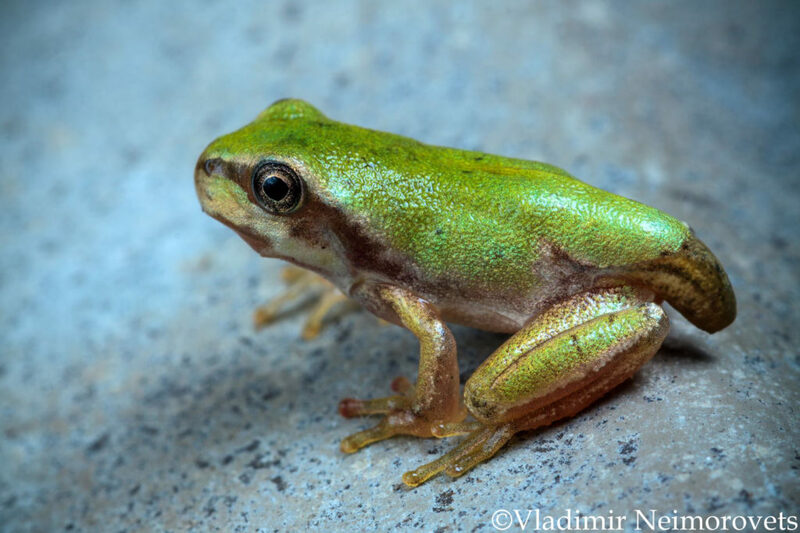 This subspecies is widespread in the low-mountain forests of the North Caucasus. 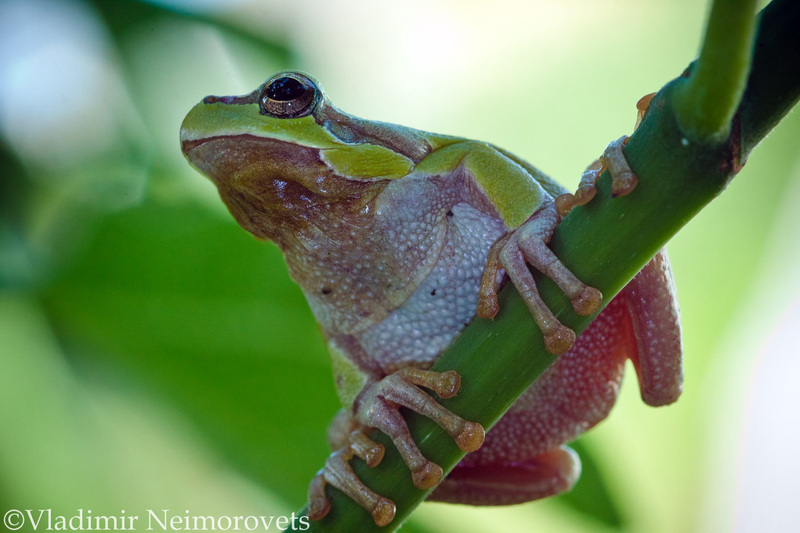 At the end of April the tree frogs begin to multiply. 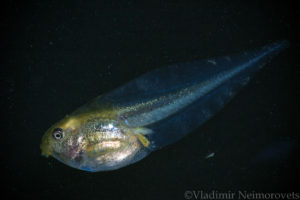 The female lays several portions of eggs. 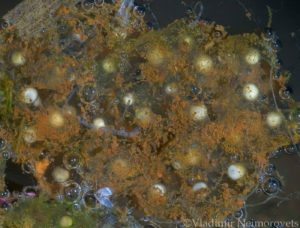 The gelatinous substance, to which all debris and dirt easily adheres, protects the developing embryos from any adverse effects. The eggs are white. 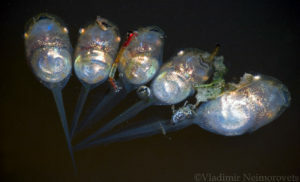 Each oviposition includs from 20 to 50 eggs and more. 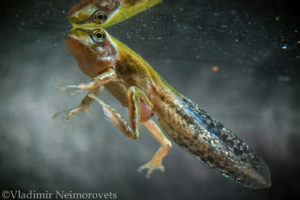 Approximately in 8-14 days (it depends on temperature) there are tadpoles that feed on the algae bloom, scraping them off the leaves of aquatic vegetation, stones and other underwater objects. 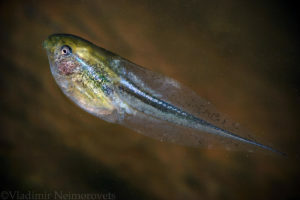 The growing up of tadpoles, depending on the temperature, continues from one and a half to three months. 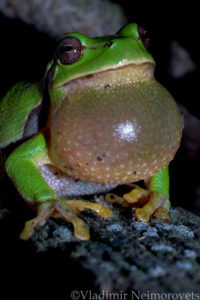 And usually young frogs already appear at the end of August. 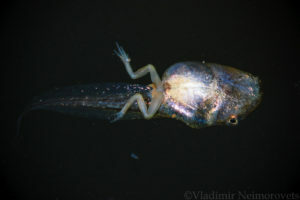 They come out of the water and begin to lead a way of life, common for adults. They will be sexually mature two years later. 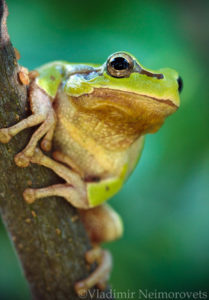 The European tree frogs live long — up to 12 years in natural conditions and up to 22 years in captivity.